Socializing after work presents a problem: How do you prepare for an evening out without rushing home to throw on a LBD and trade your briefcase for a clutch? With a little forethought, it can be done. Below are some fashion tips to take you from desk to bar. Blazers add professional polish to any outfit. 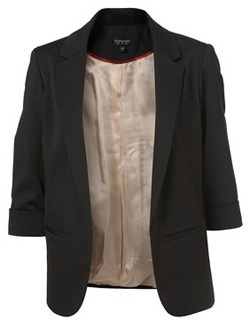 They’re also the perfect outerwear option for after-work drinks – sharp, figure-flattering and a little dressy. To make a jacket look fun and youthful, wear it in a way that doesn’t scream suit. Mix-and-match it with pants of a different hue, look for an unusual silhouette – like a cropped or boyfriend blazer – or pick an unusual color like purple or teal. If jeans aren’t forbidden at your place of work, they’re the perfect work-to-cocktails transition item. Fortunately, the qualities that make a pair of jeans Casual Friday-appropriate are the same ones that make them flattering and stylish. 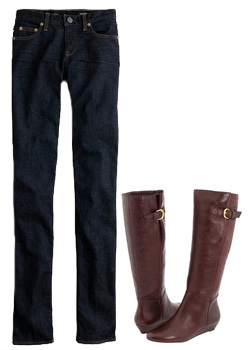 The pair you pick should have a straight-leg cut and a dark, even wash. Pair them with a cute belted blouse and heels or knee-high boots. A dress is still the easiest way to resolve the conundrum: How do you look alluring but still office-appropriate? 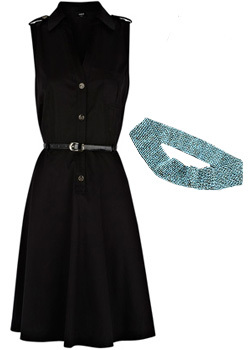 Find a shirt dress, sheath or pencil dress in a fairly basic style. The right accessories will dress it up or down. For work, pair it with a blazer or cardigan. For after-work drinks, add on bold accessories like a wide belt, chunky bracelets or cocktail necklace. 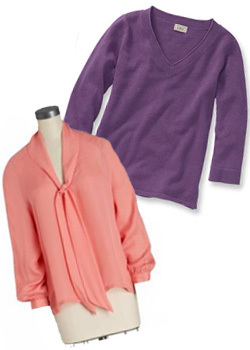 A tie-neck blouse with v-neck sweater is the perfect prim, ladylike work look. To effect a superheroine-like transformation after hours, simply take off the sweater, untie the blouse and undo as many buttons as you desire. You’ll instantly feel more chill – and soon, workday memories will be long gone.